WESTERN PENNSYLVANIA'S LEADER IN FLY FISHING! Wildwood Outfitters is located just outside of Franklin, Pennsylvania in the heart of outstanding fly fishing country. 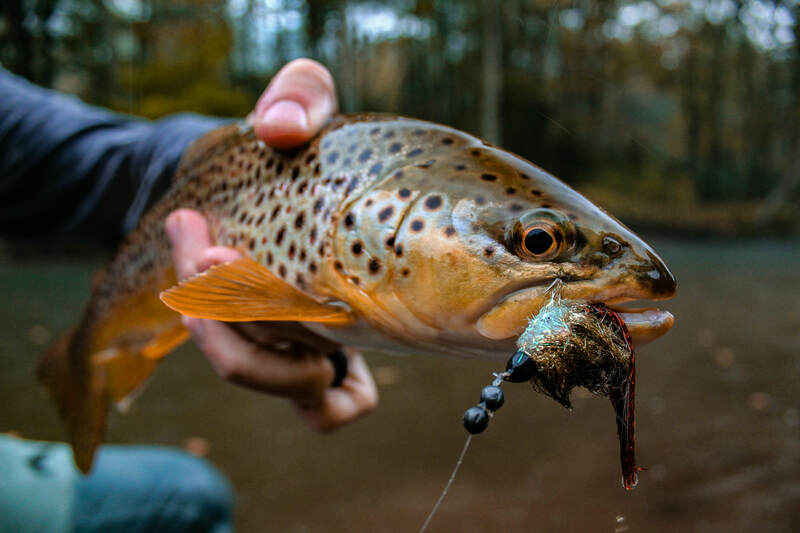 Being within striking distance of Lake Erie tributaries, central PA trout streams, and local trout fisheries means there's plenty of excellent fishing opportunities year-round! Our professionally guided fly fishing trips focus on having a great time, catching fish, and learning more about the sport we love so much. With over 500 trips of experience, head guide Nick DelVecchio has seen it all (he's got the stories to prove it) and is well versed in educating anglers of all skill levels! Whether you are looking to just break into fly fishing or enhance existing skills, look no further than Wildwood Outfitters. As an added bonus, a portion of every guide trip goes toward the preservation of public land and the conservation of wild trout! Keep up with news, trip reports, events, and much more with our weekly newsletter!